Djabe followed a highly intensive release strategy in the last years. In 2017 the band released the live concert album New Dimensions Update Live on LP, CD, master tape and options for download and stream. This was the first release of the band after its refresh in 2016. Also in 2017, Cherry Red Records released two albums in CD+DVD format: Steve Hackett & Djabe: Summer Storms and Rocking Rivers and Djabe & Steve Hackett: Life Is A Journey – The Sardinia Tapes reached second and fifth positions on the company’s international top sales list. The Sardinia Tapes, featuring 2016 studio recordings at the island of Sardinia and composed by Tamás Barabás, also released by Gramy-H, ltd. in October 2017, in double vinyl format. 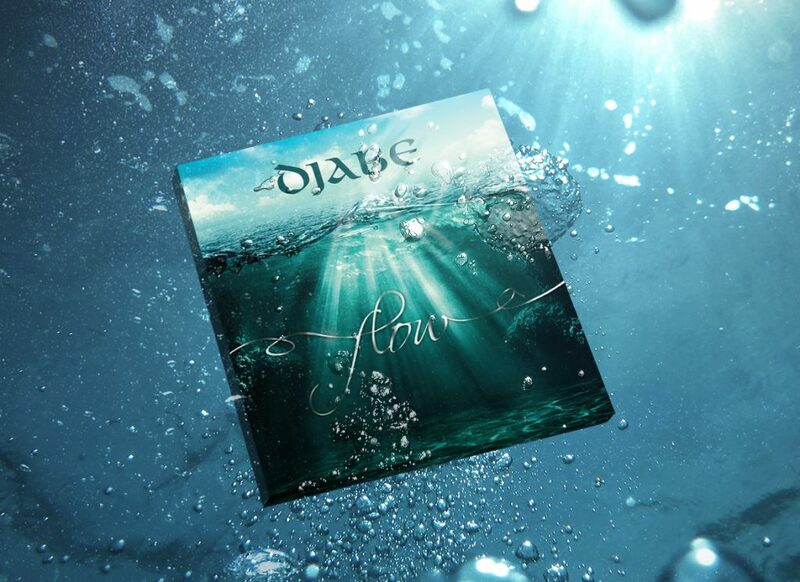 In February 2018, the concert album Djabe with Steve Hackett & Gulli Briem hit the shelves, in the form of a CD+DVD pack; the album’s content was recorded throughout the tour of June 2017: material on the CD recorded at the Miskolc gig, while the DVD featured content performed at Budapest. In early 2018 the works begun on the new Djabe studio album, with a line-up of Tamás Barabás (bass guitar), János Nagy (keyboard), Péter Kaszás (drums), Áron Koós-Hutás (trumpet) and Attila Égerházi (guitar). Christened Flow, this album will release on May 15, 2018 on CD. The DVD format, containing surround mix, and the vinyl version will both release in September 2018. Both fans and band eagerly await for the first studio album release with this new line-up. On the 18th of May, audience of the city of Debrecen and surrounding regions will be the first to hear the new material, as the first location of its premiere tour. Throughout this line of concerts, the band Android performs before Djabe steps on stage. Djabe has a strong connection to the city of Debrecen, through Attila Égerházi, and some of past band members. Both bands want to see their respective fandom mingling, familiarizing with the music of the other. Android (www.androidgroup.hu) is a great representative of the progressive rock (neoprog) genre. With some active periods and longer breaks, they continuously perform since 2008. Their unique sonority incorporates elements of progressive rock, classic rock, folk music and classical music. In the last 10 years the band released 3 albums and performed 7 of the region’s countries. Line-up includes János Dudás (guitar, vocal), Orbán Mező (drums), Zoltán Nikolin (bass guitar, vocal) and József Tőzsér (keyboards).